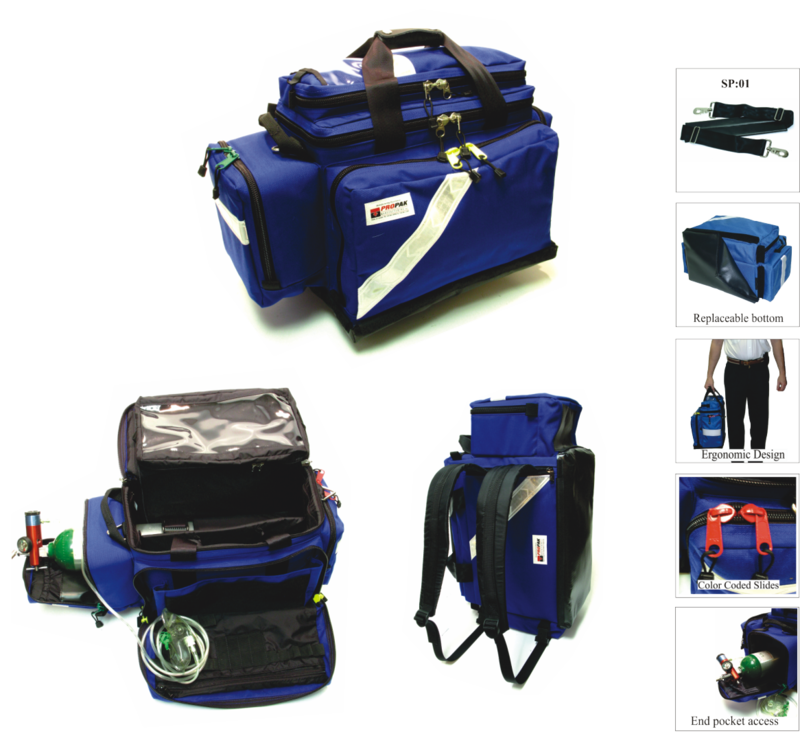 The S:06, SA:07 and SA:09 are part of the SA series of oxygen deployment bags. These three models are quite unique in their shape and function. 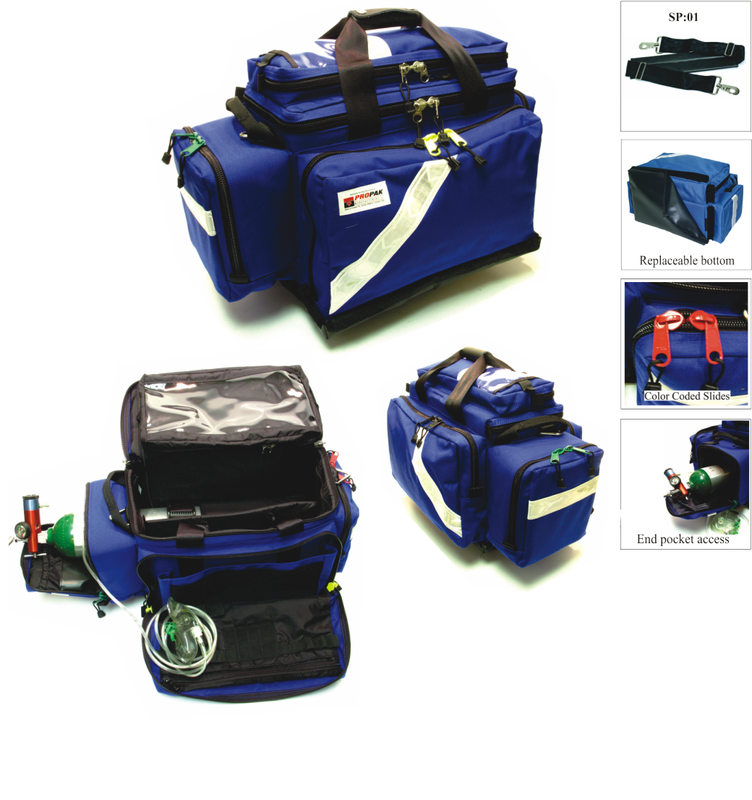 The body of the bag has two access zippers, the end zipper giving access to the oxygen cylinder regulator and facilitates removal and replacement of the cylinder. The second zipper situated at the top of the bag gives access to the shelf over the cylinder and opens up to the regulator. 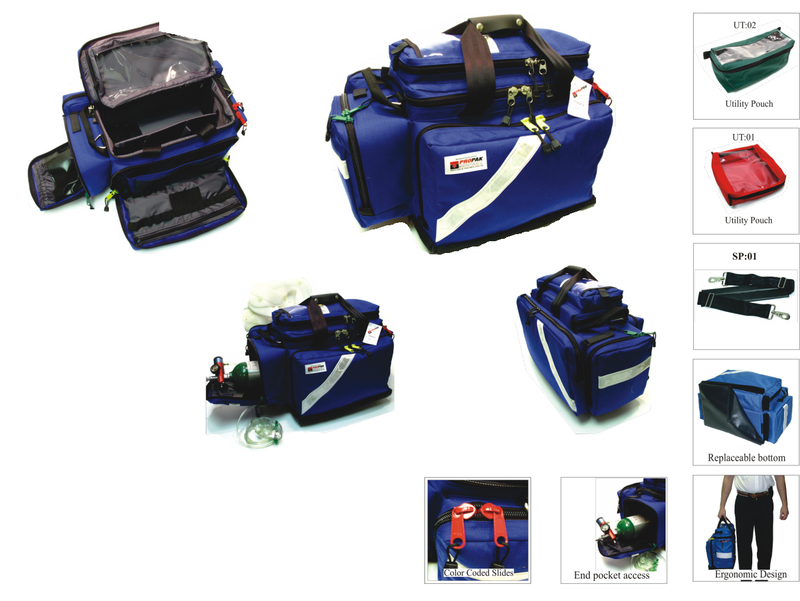 This is well suited to adjuncts which are required to be continually attached to the O2 supply such as a ventilator or suction unit, but this storage area is not limited to only that use and also works well for storage of all your generic O2 supplies. 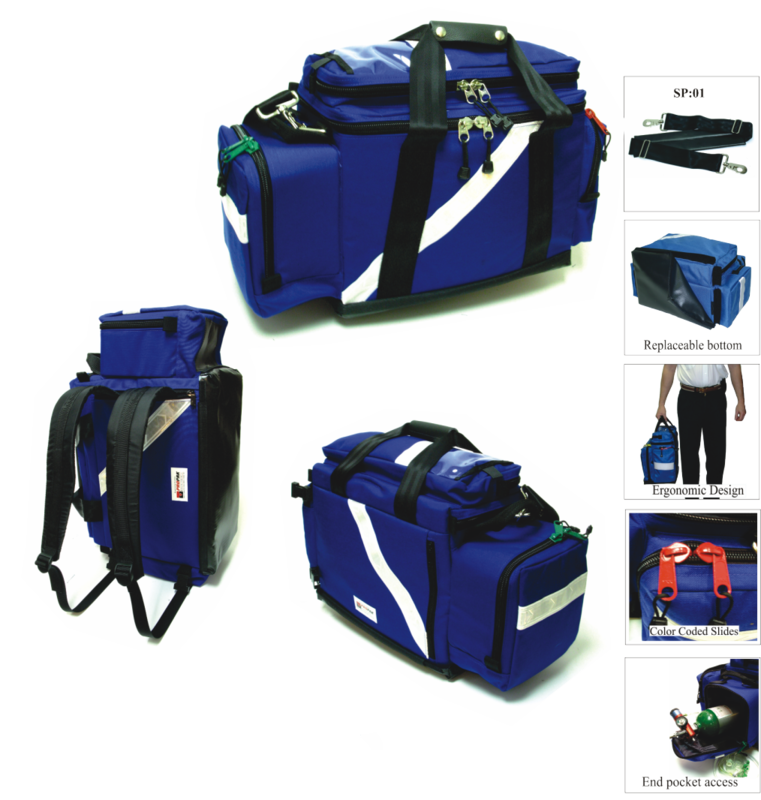 The vertical design makes carrying the bag close to the centerline of the attendant, helping to reduce joint stress. 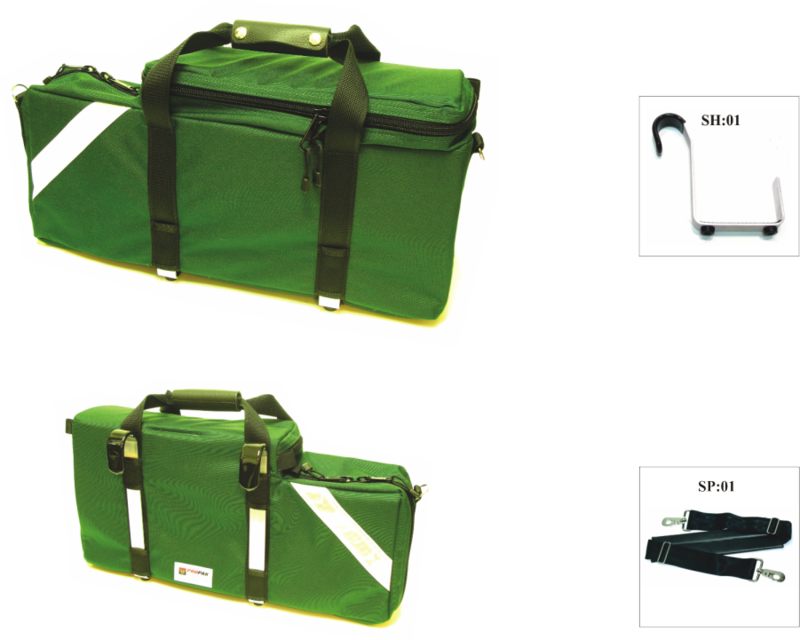 The removable aluminum hooks are designed to hang the bag on the side of a patient cot, reducing the number of items the attendant is required to carry. The bottom of the hooks also support the bag in the vertical position and with rubber feet elevates the bag off of the ground away from wear and soiling from accident site fluids. The SA:06, SA:07 and SA:09 come standard with our SP:01 heavy-duty adjustable shoulder strap. They also come with two aircraft grade aluminum supports, which are hooks to suspend the bag as well as attachment for the rubber feet. Available in several colors but generally only stocked in green.